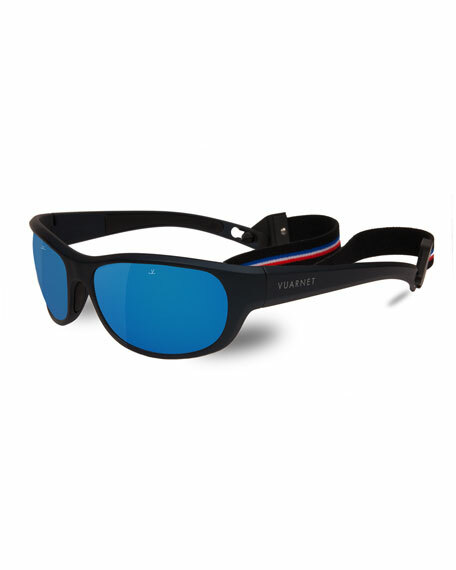 Vuarnet "Matt Metallic" durable nylon sunglasses. Wrap frames with removable, striped strap. 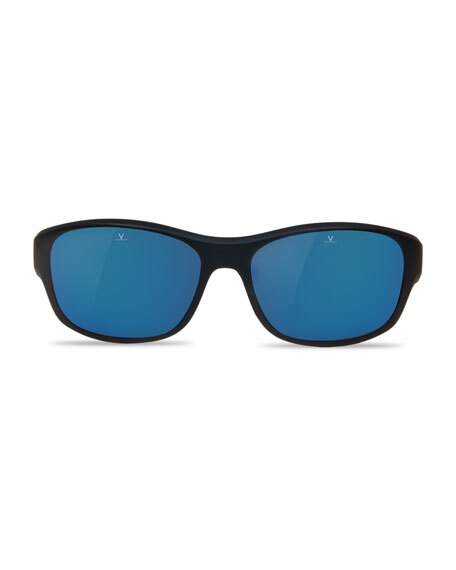 Grey Polarized Blue Flash Mirror lenses with antireflective coating. EXCLUSIVELY AT NEIMAN MARCUS Vintage Frames sunglasses with 24-karat gold-plated hardware. Eye/bridge/temple (in mm): 50-25-140. Keyhole nose bridge. Adjustable nose pads. 100% UVA/UVB protection. Made in Canada.